Nails are all the rage! 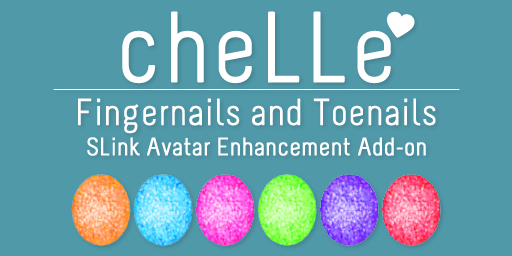 ✿ cheLLe ✿ is excited to add nails to our makeup & cosmetics line, and we look forward to releasing even more fabulous nails! The first release is includes Glitter and Pointed nails. 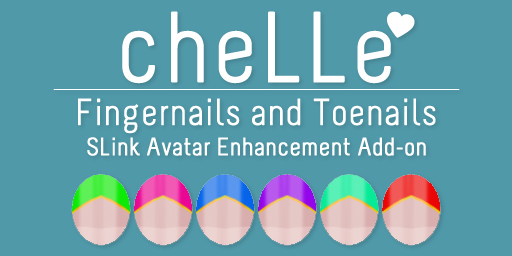 This is an Add-on product and does not include the SLink Avatar Enhancement mesh hands or feet. You can purchase them from SLink (by Siddean Munro). Check it out on Marketplace or at cheLLe’s main store. Oh Gogo I love these =) I bought the Pointed set!